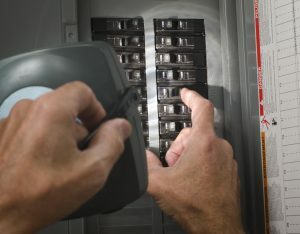 It’s one of the most annoying, not to mention potentially dangerous issues for a homeowner- a tripping circuit breaker. If you’re not an electrician, diagnosing what caused the trip can be overwhelming and cause even more harm to your home and appliances. Right Electrical Services wants to make this common but frustrating experience easier for you to handle! We have compiled a list of 4 common reasons your breaker may short circuit and how to fix the issue! Read on and do not hesitate to call us for your circuit breaker needs and issues! We’ll be happy to help! To start, let’s talk a little bit about how circuit breakers work and what their importance is. Each home’s electrical panel is filled with multiple breakers. These circuit breakers service electricity to different parts of your home and feed off of one “main circuit breaker”. The main circuit breaker is not much different than the other breakers occupying your electrical panel. However, it has the ability to handle larger amounts of amperage. It’s very important to know exactly how many amps your home is rated for and this can vary depending on your home’s age. We’ll get more into that later. As annoying as it may be, circuit breakers trip for a very important reason. Circuit breakers are designed to completely shut off power to your home in the event that the demanded load of energy grows too high. Sometimes the issue occurs due to serious issues within the electrical system. While we may groan and complain when this happens, it’s important not to take this event lightly. While a circuit breaker can trip usually causing nothing more than a momentary power surge, this is not always the case. Sometimes there are much more serious problems that need to be diagnosed. In the case of a main circuit breaker trip, there are more questions you should be asking. Main circuit breaker trips are more rare because individual circuit breakers are designed to prevent this in the first place. 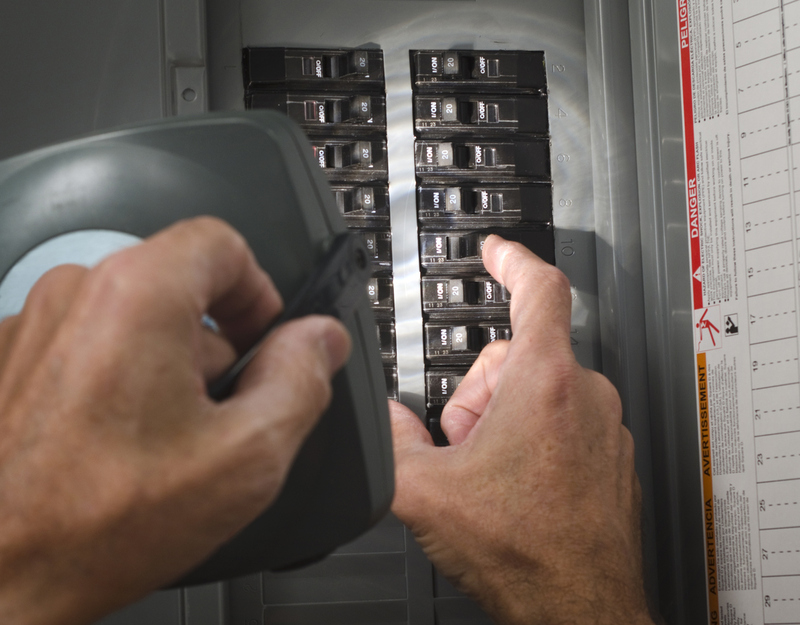 The most common cause of circuit breaker issues are typically due to an overload. This is an extremely easy mistake to make. When running too many appliances all at once, your breaker can overload and cause a trip. Trips are even more common in the case of appliances that consume large amounts of power. Remember earlier when we mentioned that the amount of amps your home is rated for was important? This is where that comes in. Often, older homes are not equipped to handle the ever-increasing electrical demands of today. According to the Jackson Electric Membership Corporation, overloaded circuits are the cause of more than 40,000 residential fires each year. Each circuit in a home’s electrical panel are designed to only handle a certain amount of wattage and going over this limit causes an overload. Appliances that create heat such as hair dryers and heaters can draw up to a whopping 1,800 watts on their own! Considering many residential homes are equipped with a branch of circuits possessing around 15-20 amps and only capable of handling up to 1,900 watts before tripping, you can see the concern. Attempt to redistribute especially power-heavy appliances to a general purpose circuit. In order to figure out if this is a good option for you, you can start by adding up all of the electrical loads on a circuit. You can then refer to the National Electrical Code and determine whether or not it exceeds their limit. In the case that it does, it’s a good idea to redistribute your appliances. Right Electrical Services can help you with this! Call us today to explore your options in redistributing your appliances to a general purpose circuit! Turn off appliances that don’t have to be in use. Try to designate and decide when you run your especially power-heavy appliances. Switching off non-essential appliances when not in use can save the extra stress on your circuit breakers big time! Short circuits are among one of the most dangerous reasons for a circuit breaker trip. A short circuit occurs when a hot wire (black wire) touches another hot wire or touches a neutral wire (these are typically white). Two of these wires touching within an outlet can cause current flows that end up creating more heat than a circuit is designed to handle. This causes a shut off. Short circuits are especially dangerous because the large amounts of heat produced can cause fires within your wall cavity! Yikes! Short circuits can be identified by the smell of burning and black/brown discoloration around the outlet. If you notice this in your home, don’t delay! Short circuits are a very serious issue that you cannot ignore. Thankfully, a licensed electrician can easily identify the cause of the issue and help you keep your home safe. While wires can cross for multiple reasons, it is sometimes as simple as a loose connection or faulty wiring. For more tips on making sure your outlets are properly upgraded and functioning at their best, you can check out our blog post on electrical outlet upgrades! Ground faults are pretty similar to short circuits. The same dangers occur in the case of a ground fault as with a short circuit. With a ground fault, a hot wire actually crosses and interacts with the ground wire (bare copper) within the outlet. Like a short circuit, a ground fault can be identified by the tell-tale signs of the issue. The smell of burning and discoloration of the outlet can also occur here. However, there are a few different causes of a ground fault that you should be aware of. Leakage of water into an electrical box can end up causing a ground fault because water is a conductor of electricity. A GFCI outlet is designed to cut off the flow of current in the case of a ground fault. If your GFCI outlet is faulty or malfunctioning, it may neglect to do so. In order to prevent this issue, it is important to make sure your GFCI outlet is functioning properly. Irons– Clothes irons obviously heat up very quickly. Many of us don’t take into consideration that outlets in each room of our house are designed to handle a certain amount of energy. Where do you tend to find yourself ironing your clothes most often? If you said your bedroom or living room, you are not alone. Outlets in bedrooms and living rooms are typically not equipped to handle as much energy as those in, say, our kitchens. Due to this, running an iron on the highest setting for a long period of time or forgetting to switch it off when you’re done can cause a breaker trip. Hair Dryers– Here is another pesky appliance that we all use on a daily basis. Similarly to a clothes iron, these devices generate a ton of heat within an incredibly short period of time. Fans– Ever found yourself scrambling to turn on every fan in your home in the midst of a particularly hot summer? Of course you have! Unfortunately, running multiple fans in your home at the same time can cause a circuit breaker trip. Ceiling fans use a significant amount of power and running them all day, especially, can cause too much stress on your breaker. Older Household Appliances– Appliances that are on the older side tend to be the most power-hungry of them all. Let’s take older refrigerators for example. Refrigerators tend to last for a long time, decades even- but this can come at a cost. Although reliable, older refrigerators tend to demand a lot of energy and can end up causing a circuit break when the temperature rises in your home in the summer. In this case of older appliances, “If it’s not broke, don’t fix it” is not always the best motto to live by. In the case of older appliances, the solution is actually pretty simple- keep up to date on upgrades and repairs! You should also limit your appliance use as much as possible! If you suspect one of your more power-hungry appliances could be the culprit to your frequent breaker trips, look into repairs and upgrades to less needy models. In the case of things like clothes irons, hair dryers, and ceiling fans you should limit your use as much as possible. With a little self-discipline, you can really reduce the risk of a circuit breaker trip in your home. We hope our list of common causes of circuit breaker trips was informative and useful for you. At Right Electrical Services, we cannot stress enough the importance of not throwing an issue like this to the side. There are common, easily fixable issues for circuit breaker trips and then there are dangerous, not so easy issues. 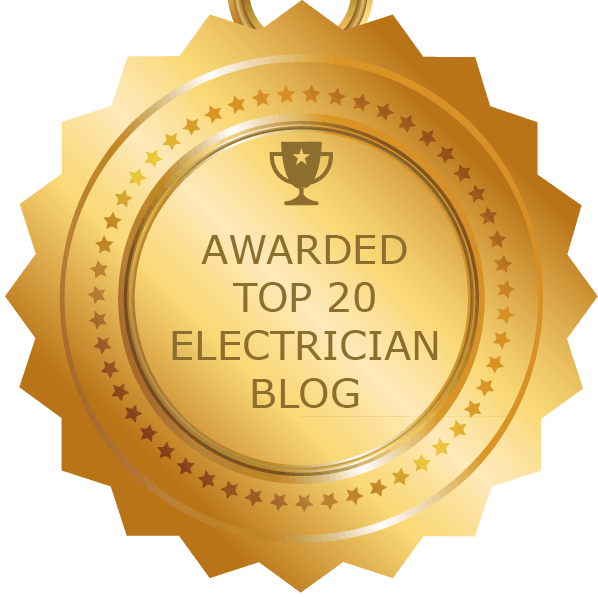 Without the knowledge of a licensed electrician, which issue is occurring within your home can be hard to identify. Leave it to the experts! 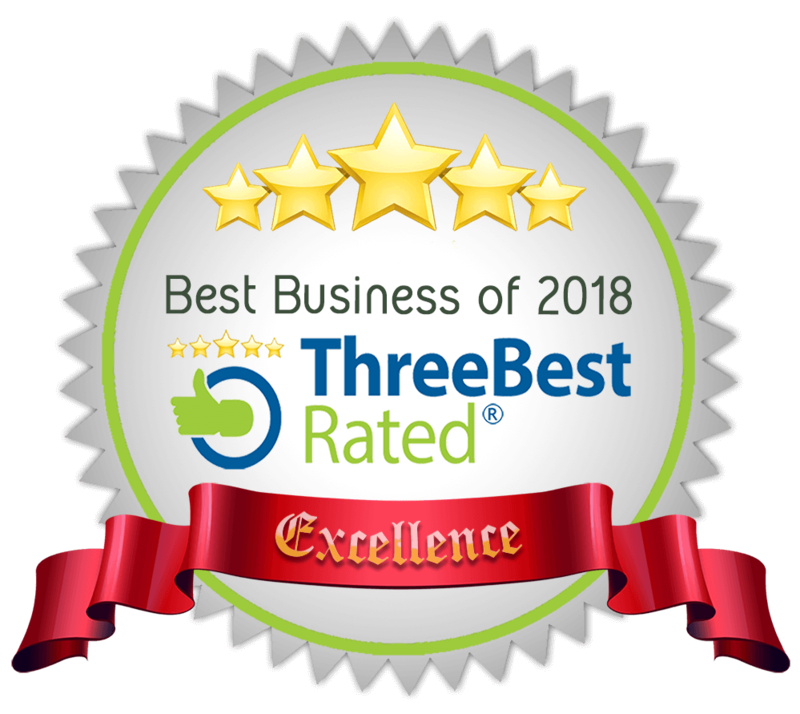 Call us today with any questions you have! Thanks for stopping by! Hopefully the information was useful to you. Good for you for calling an electrician! The presence of a burning smell is definitely a bad sign and it’s a good thing you’re letting a professional handle it immediately. We hope your issue gets resolved efficiently and promptly!